The Austin City Limits Music Festival is now in its 15th year, and has tapped Radiohead, Kendrick Lamar, LCD Soundsystem, and Mumford & Sons as its 2016 headliners. 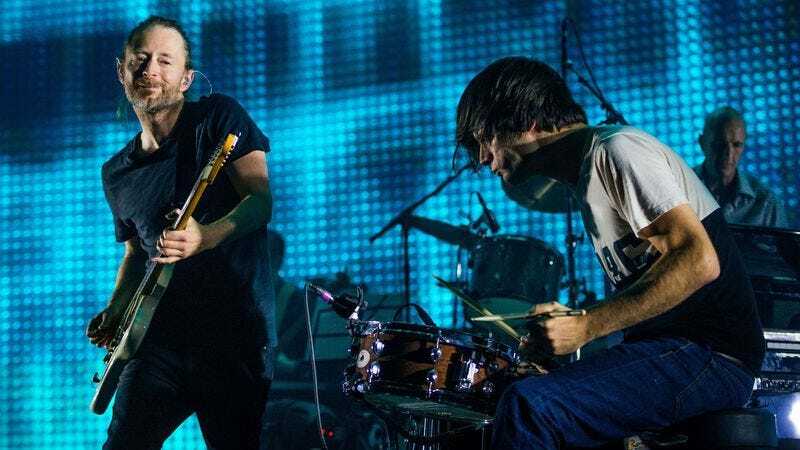 This is turning into quite a year for Radiohead and LCD Soundsystem, who have made their way back to the touring circuit with multiple headlining gigs, including teaming up for Lollapalooza. Radiohead will have already released its new album well before hitting the road, so attendees can look forward to hearing new music. Lamar and LCD Soundsytem are also set to headline FYF Fest in late August, so all three acts should be pretty chummy come fall. But there are ever so many other acts that will be featured, should the aforementioned artists not strike your fancy. Willie Nelson, Andrew Bird, Haim, AWOLNATION, LL, Raury, Wild Belle, and Frightened Rabbit are all part of the lineup as well. And LL Cool J fans who couldn’t bear the summer heat will have a chance to see him in more temperate times. The two-weekend blowout will unfold on September 30-October 2 and October 7-9. Three-day general admission tickets are now on sale for both weekends, with single-day ticket sales coming soon. Check out the complete lineup below.